PROs have been quick to dismiss press suggestions that Twitter was to blame for fanning the flames of the riots across London at the weekend. A story on the The Daily Mail website yesterday stated: ‘Fears that violence was fanned by Twitter as picture of burning police car was retweeted more than 100 times’. The coverage also stated that ‘troublemakers’ on Twitter were orchestrating the violence and encouraging ‘scores more people into the area'. Speed Communications MD Stephen Waddington defended Twitter: ‘Twitter is being used to exchange messages and discuss the riots in the way that previous generations used technology such as phone, email and SMS. The riots escalated from a peaceful protest outside Tottenham police station on Saturday when around 300 people demanded justice after Mark Duggan, 29, was shot dead by police on Thursday. 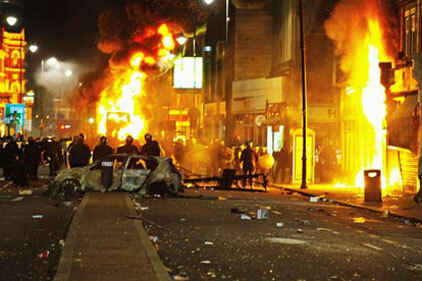 The riots continued on Sunday, spreading to Enfield, Walthamstow, Waltham Forest in north London and to Brixton in south London. More than 100 people have been arrested and around 35 officers have been injured. A report in the Daily Telegraph today said Twitter and mobile phone technology had helped teenage gang members to ‘incite and film the looting and violence’. Lucre Social senior account director Chris Norton said: ‘I don’t think we can blame Twitter entirely as it cannot moderate every single piece of content on its network in real-time. All it can do is remove any inflammatory accounts when they are highlighted to its team.